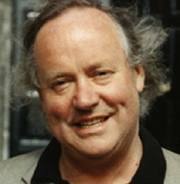 Like many Irish people, the poet Brendan Kennelly is a fan of the band U2. However, Kennelly has a leg up on his fellow U2 fans: the band is a fan of him. Kennelly is often called “the people’s poet” for his open, accessible style, (Dublin’s Sunday Tribune). Kennelly’s epic poem, The Book of Judas, was published in 1991; that same year, U2 released its seventh album, Atchung Baby. Their album—in particular, the song “Until the End of the World”—explores many of the same themes as Kennelly does in The Book of Judas: betrayal, love, what it takes to change the world. The lyrics of “Until the End of the World” express these ideas beautifully: “In the garden I was playing the tart / I kissed your lips and broke your heart / You, you were acting like it was the end of the world” (Bono).